Right now, more and more people are looking for new ways to rejuvenate their appearance. But the problem with most conventional facial rejuvenation procedures is the extent of what they can accomplish. There are two types of treatments commonly used to restore youthful appearance – facelift and dermal fillers. Medically called as rhytidectomy, traditional facelift is a form of cosmetic surgery that aims to reshape the lower portion of the face by removing sagging skin. Sometimes, the procedure involves tightening of underlying tissues. The objective of this surgery is to tighten lower cheeks, remove jowls and restore sagging tissue. Elevating the tissues will also fill in hollows on the cheeks. It can eliminate vertical bands, tighten loose neck skin, something that cannot be accomplished by Wrinkle reduction treatment or filler injections. Individuals who are experiencing facial fat volume loss can restore by using fat grafts harnessed from other parts of the body. 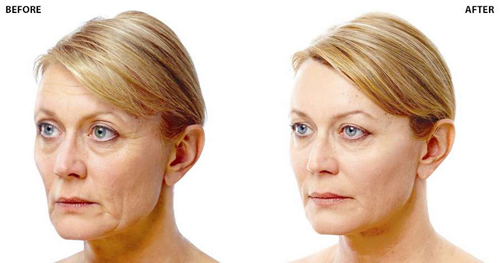 When considering facelift, there are some pros and cons to weigh. It can last for more than a decade while making your appearance 10 to 15 years younger. Fillers such as Perlane,Restylane and Juvederm have been used to address surface depressions, which include nasolabial folds (laugh lines) and marionette lines – folds that deepen on the corners of the mouth down to the jawline. Like facelift, fillers can also be used to augment thin cheeks and fill in hollow temples. When used properly, fillers can help delay the need for a facial surgery or improve the results of surgery. But fillers are more effective for patients younger than 50, with no significant looseness of the neck and cheeks that may warrant a facelift. When considering dermal fillers, there are some pros and cons to weigh. The American Society for Aesthetic Plastic Surgery reported that the rate of plastic surgery are decreasing while non-surgical treatments are growing. One of the main reasons for this is the growing range of face fillers available on the market. Face fillers come in different types, consistencies and strengths, and there is something for everyone. For instance, doctors can inject more than one product in the same patient. They can use Sculptra for facial volume and Juvederm, Restylane or Radiesse to fill in. There are different ways to combine them until you get the best result. But face fillers have limitations. If your neck is sagging, fillers cannot provide any help. It should be lifted, with some skin removed. The same goes for severe drooping of upper eyelids, where you will need an eye lift. The most important factor to consider is the doctor who will perform the procedure. Misguide efforts to avoid plastic surgery through overuse of fillers can result in an unnatural look. It can result in bloated checks, impaired facial expression and distorted facial proportions. Be sure to choose a qualified injector to avoid these filler mishaps. We often recognize a square, prominent jawline as a desirable, masculine feature in men. This is the reason why more and more women are looking for softer, more feminine shape of their face. Altering the shape of the face from square to a softer oval shape can enhance their appearance. Before, jaw reduction surgery is the only solution for many patient seeking a slimmer face. One biggest drawback with this procedure is that the recovery period is very long and it often produces unnatural results. Wrinkle reduction treatment has truly revolutionized the facial reshaping industry, allowing jawline reduction without using a scalpel, zero-swelling, pain and downtime. Jaw reduction using Wrinkle reduction treatment is a specialized procedure of reducing the width of the jawline by weakening the Masseter muscle, the muscle we use for chewing. Using Wrinkle reduction treatment , it changes an overly square jawline to a more heart-shaped or oval-shaped, slimmer face. 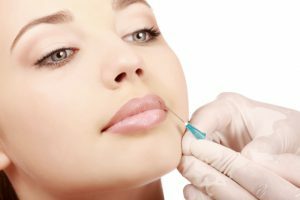 How Does Wrinkle reduction treatment Jaw Reduction Done? Wrinkle reduction treatment jaw reduction is the injection of Wrinkle reduction treatment in the muscles of the jaw, the Masseter muscles, to reduce its size. Common in Asian countries, some ethnicities have the tendency to have overly square face. Wrinkle reduction treatment can help reduce the size of the Masseter muscles, which allows improvement in facial feature in a non-invasive way. Unlike jaw reduction surgery, the use of Wrinkle reduction treatment is relatively painless with zero downtime so it can easily be performed inside a clinic. On the other hand, jaw reduction is major surgical procedure that involves shaving or cutting of the mandible to reshape it. Take note that only Wrinkle reduction treatment specialist must do this procedure as this is a specialized technique. The most significant criterion to decide if you are an appropriate candidate for this procedure is the thickness of your jaw muscles. It can easily be determined by biting your jaw hard and feeling the jawline. If the Masseter muscles have an enlarged appearance and appears rock hard when you’re clenching your teeth, you may be an appropriate candidate for this procedure. Typically, patients will notice improvement after one week and the softening of the jawline at 6 weeks. It usually lasts between 6 months and 18 months. At the end of the first week, you’ll notice that your jawline feels softer when chewing or biting down. It is advised to return to your doctor to evaluate the result after 3 months. In order to achieve the maximum result, you may need up to 3 treatments depending on the size of your jaw muscles. You can top up at least once a year to maintain the result. Because the effect of Wrinkle reduction treatment gradually disappears, expect to have long-tern benefits but not permanent results. Enlarged jaw muscles can be attributed to certain personal habits. 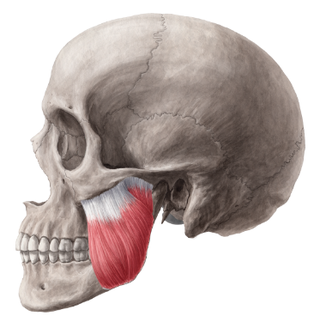 Chewing hard food such as tough meat, excessive gum chewing and even bruxism (involuntary grinding of your teeth while sleeping) can lead to an enlarged Masseter muscle. Aside from the Wrinkle reduction treatment jaw reduction procedure, non-invasive facial slimming procedure may also include a couple of filler injections to the chin to achieve a slimmer, oval-shaped face. Are you frustrated with your large, noticeable pores? Suffering from uneven skin tone and excessively oily skin? Wrinkle reduction treatment might help you solve these troublesome skin problems. With more than 20 years of research, knowledge and clinical experience, Wrinkle reduction treatment has been widely used by experts for a variety of reasons, both aesthetic and therapeutic. Experts know why it works, how it works and where it works. What is Intradermal Wrinkle reduction treatment ? Intradermal Wrinkle reduction treatment is a treatment of administering small amount of Wrinkle reduction treatment into the upper layer of the skin. It is often used for reducing pores, improving skin complexion or tone, reducing pore size and helping pimples and blemishes heal. Intradermal Wrinkle reduction treatment is commonly injected along the nose and the cheeks. It can also be used on the underarms and forehead. Under our skin are very small muscles that control the size of the pores. If you have oily skin type, your large pore size become even more noticeable. 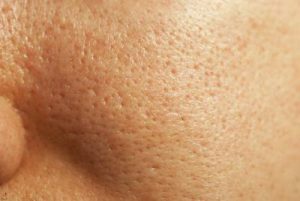 Wrinkle reduction treatment works by temporarily weakening little skin muscles, and the result is a skin tightening effect that causes the size of the pores to reduce. Aside from the tiny muscles, the skin also contains small oil gland that produce sebum and sweat. People with oily skin or with abnormal sweat production can benefit from intradermal Wrinkle reduction treatment in both reducing excess sebum and sweat production. This leaves the skin looking healthy and smooth. Acne comes in different types. There are also many causes of acne. As such, acne needs multi-faceted approach in addressing these factors. One common factor of acne is excessive oil production, for which Wrinkle reduction treatment can help reduce. Another common factor of acne is inflammation, which causes the reddish marks that it can leave behind. Wrinkle reduction treatment can help reduce the inflammation, giving your skin the chance to heal. 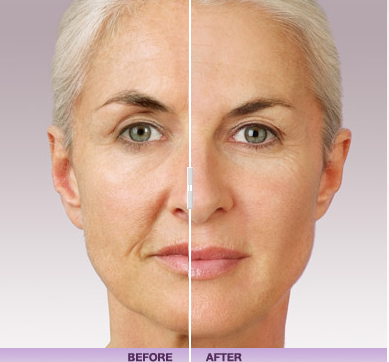 The effect of Wrinkle reduction treatment will subside up to 4 to 6 months. Just like Wrinkle reduction treatment for wrinkles, some patients prefer getting injections every 3 months. And unlike deeper Wrinkle reduction treatment , ID Wrinkle reduction treatment won’t cause swelling or bruising. However, patients may notice tiny red dots where the Wrinkle reduction treatment are injected. These will disappear after a couple of hours. The procedure may take 20 minutes although the duration may vary depending on the areas of concern. 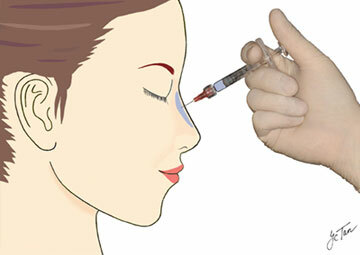 And just like any Wrinkle reduction treatment injection, the drug can spread out to other areas. 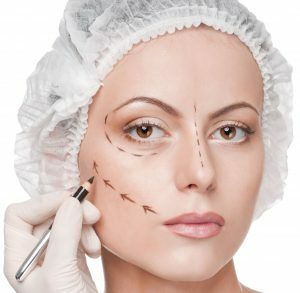 As such, it is very important to see a qualified Wrinkle reduction treatment specialist who knows careful injection technique, gives the right concentration and holds understand of the facial anatomy. Similar to other cosmetic procedures, the results greatly differ from person to person. Such variation is due to the patient’s facial anatomy, such as skin texture, pore size and the history of past treatments. The key is to have a close assessment of the skin’s condition in order to understand what possible results can be expected. 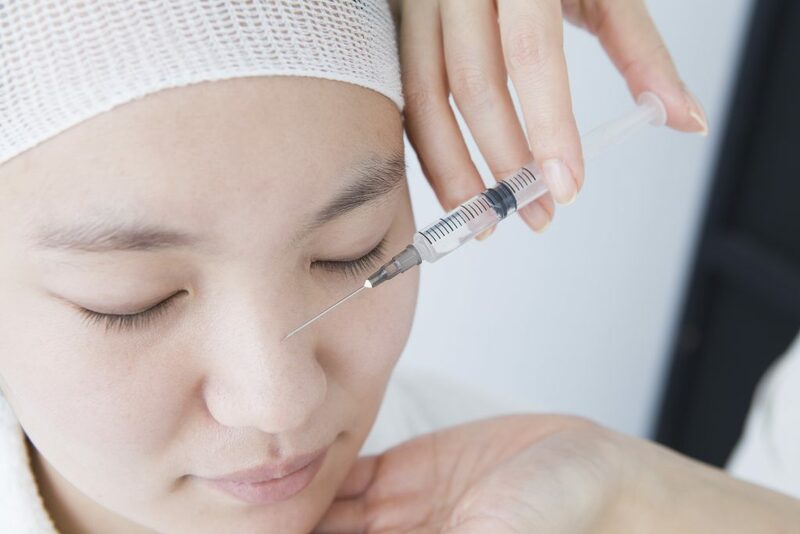 Similar to using Wrinkle reduction treatment for premature signs of aging such as wrinkles, some people can experience immediate response while others may need more injections. 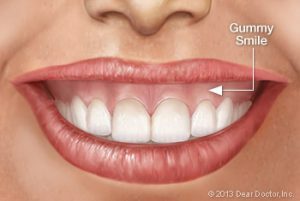 Do you feel your upper teeth look too short compared to your gums when smiling? Are you unhappy with your smile due to excessive gum tissue displayed when smiling? If you say ‘yes’, then you may have a condition called excessive gingival display, or simply, gummy smile. Some people feel they’re showing too much gums or their teeth look too small. A gummy smile can be an uncomfortable situation to a person, making him/her feel embarrassed or self-conscious. Smiles appear ‘gummy’ when the teeth, upper jaw and gum tissues are not in proportion to each other. Also, the position of the upper lip can also affect to the overall look of your smile. Therefore, gumminess in your smile is a combination of the shape and size of the teeth, the amount of gum tissue display, the vertical position of the teeth and the upper jaw in relation to the skull and the degree of movement and length of the upper lip. Many people don’t know that there are lots of options for correcting gummy smile. If a gummy smile affects your life, well-being and comfort, it could be the best decision to do something about it. One way to fix gummy smile is through Wrinkle reduction treatment . Gummy smile appears when a person smiles and their upper lip lifts too far above their upper teeth, revealing gums and creating an unattractive smile. Gummy smile can be due to several causes and one is a hyperactive muscle that elevates the upper lip. Sometimes, gummy smile can worsen by a thin upper lip which aggravates to the problem. The good news is, it can be corrected by Wrinkle reduction Injectionto reduce the muscle activity that elevates the upper lip. Wrinkle reduction treatment or Botulinum toxin is a type of protein from Clostridium botulinum. It has the ability to relax muscles by temporarily blocking the nerve impulses to the muscles injected. Today, it is now regularly used by both male and female because it is less invasive than the conventional forms of treatment like plastic surgery. It is important to choose a Wrinkle reduction treatment specialist doctor that will examine you to know if you are suitable for the procedure. 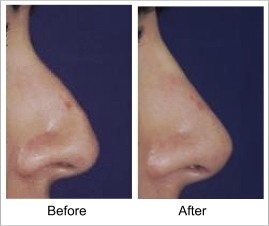 A small amount of Wrinkle reduction treatment will be injected at the nose to mouth fold and at the sides of the nostrils’ junction to weaken the muscles. After 3 to 4 days, you will notice a reduction in the elevation of your upper lip and your smile will be transformed, with less gum exposing. The full result will be notice two weeks after the treatment. The advantage of this treatment compared to other treatment options is that it has little or no downtime. The patient can immediately return back to normal activity. Result usually last between 4 and 6 months but the longevity of the result vary. The treatment provide long-lasting but only temporary result, giving you the option of refining your treatment depending on your preference.